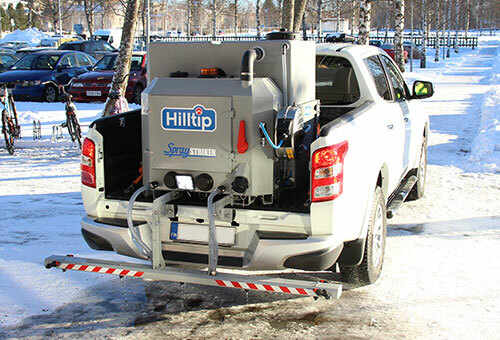 The Hilltip SprayStriker™ de-icing sprayer can be used in different ways when fighting icy roads and walkways. It is available in different sizes to match a versatile field of use, and to fit a wide range of vehicles. This liquid spreader is equipped with a 2 meter wide spray bar or a hose reel with hand-held spray nozzle. 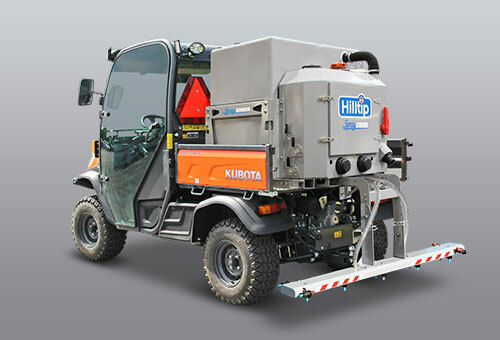 The sprayer is also ideal to be used in the summer for agricultural purpose. 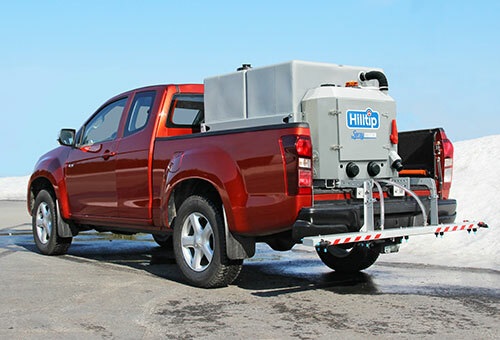 The liquid de-icing sprayer is designed for maximum liquid tank capacity and for use on variety of vehicles, trucks and machines worldwide. The durable and light poly tanks are supported by a powder coated stainless-steel frame construction. The liquid pumps and CPU-unit is protected inside an easy-to-reach stainless-steel housing. These fully 12V electric-powered units help contractors reduce salt usage while increasing their level of service. 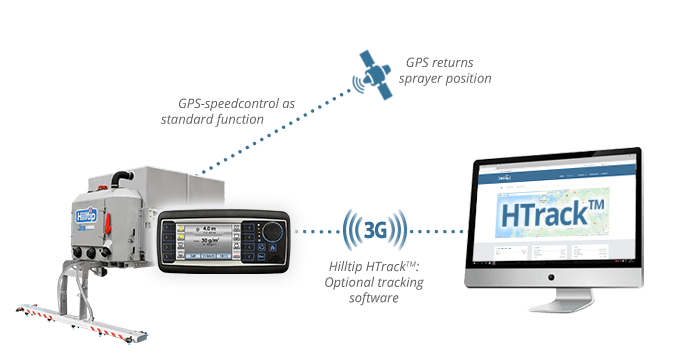 This sprayer is compatible with our optional HTrack™ tracking software. You can track and manage all of your spreading devices and snowplows online on your computer, tablet or smartphone. The program shows treatment route and spreading details on the map in real-time or between specific time intervals. Spreading route details such as speed, GPS location and material used can be summarized and generated as PDF reports. When using salt brine solution as de-icing method, you save up to 75% on your salt used on each route, and reduce the impact on the environment! 2 m spraybar with totally 14 nozzles. Including nozzles on the end of the boom for extended spray width. The spraybar can be flipped up on need. 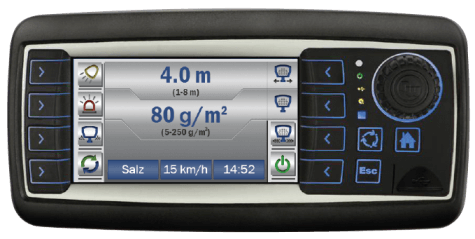 GPS-speedcontrol adjusts the liquid flow (ml/m2) according to your vehicle speed.